The scheme consists of 700m of new cut off channel/culvert across farmland to the north of Tal Y Bont and the A55 trunk road to intercept catchment flows which historically flow under the A55 and through the village. 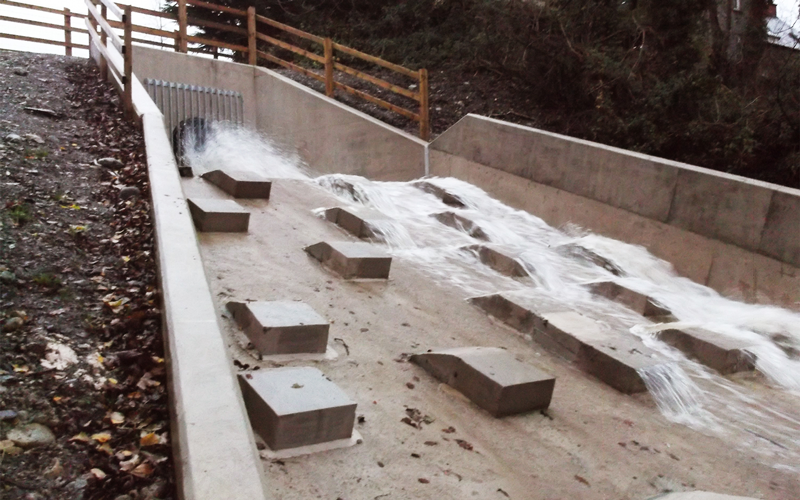 YGC designed 3 large concrete structures to aid the transition of flow from watercourse to culvert, open channel then outfall to the River Ogwen. 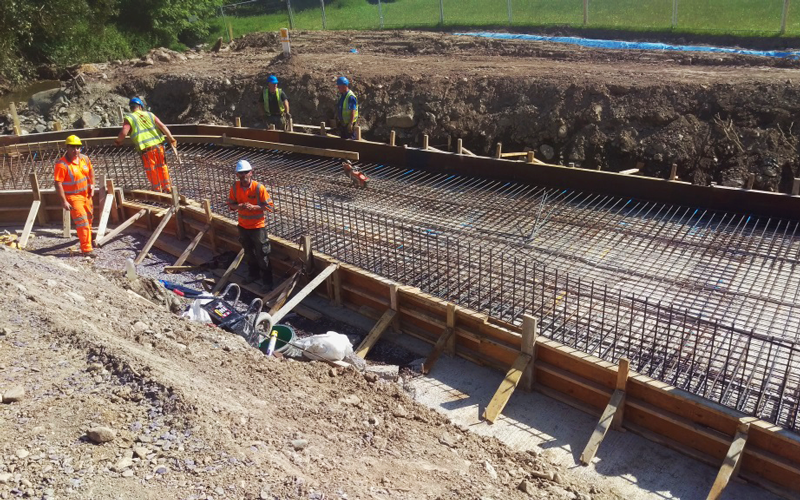 A full environmental survey and report was carried out and all consents including, flood defence and ordinary watercourse consents were secured by YGC. Extensive flooding to areas of the village have been experienced, the most notable event was in 1987, November 2012 and most recently Boxing Day 2016. The flooding affected up to 30 properties and closed the A55 for 12 hours. Full scope of the design work included a thorough review of the Project Appraisal Report and assessment of option viability including project costings. Extensive consultation was undertaken with all affected landowners as well as Welsh Government; Natural Resources Wales; Gwynedd County Council; CADW; Wales and West and members of the public. The First Minister of Wales also visited site and was briefed by YGC. Detailed surface water modelling has been undertaken in WinDES and XPStrom to determine capacity of the existing systems. CCTV and GPS survey of the surface water network was undertaken by YGC’s own in house drainage mapping team, this then provided sufficient data to inform the modelling and identify asset condition. We have used these systems on many other flood risk and drainage schemes. The River Ogwen hydrodynamic modelling study was to improve understanding of the dynamics of the river and the implications of diverting flows upstream. 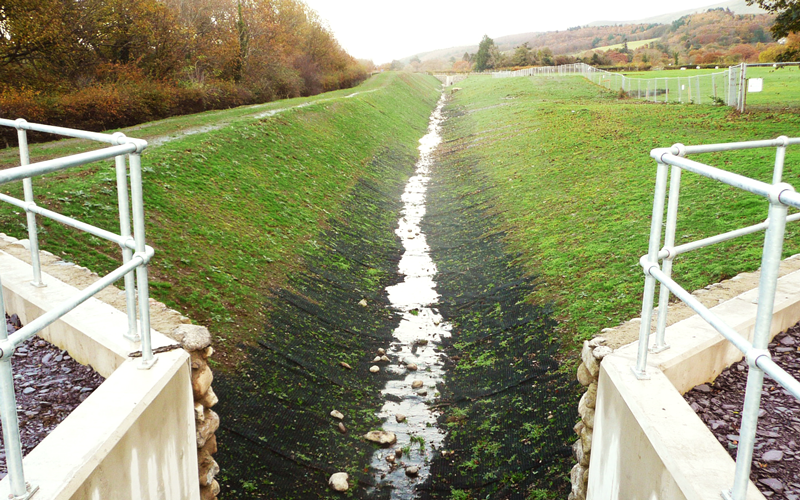 The improved understanding was required following proposals to construct the flood alleviation scheme which would result in flood water being diverted into the River Ogwen above existing outfall point. No existing data was available from Natural Resources Wales; therefore we were required to undertake a full hydrological and hydraulic study. The 1d/2d modelling was able to demonstrate that the proposed diversion flows would enter the river system ahead of the main catchment flow. A number of “what if” scenarios were tested to consider the timing of local catchment diversions on the river flows. As a result of the detailed modelling, it was shown that Gwynedd County Council’s proposal to divert catchment flow from the small local catchment would not adversely affect flood risk to any other areas from flooding of the River Ogwen and would significantly reduce flooding to Tal y Bont and the A55. YGC also took on the role of project manager and site supervisor using NEC3.